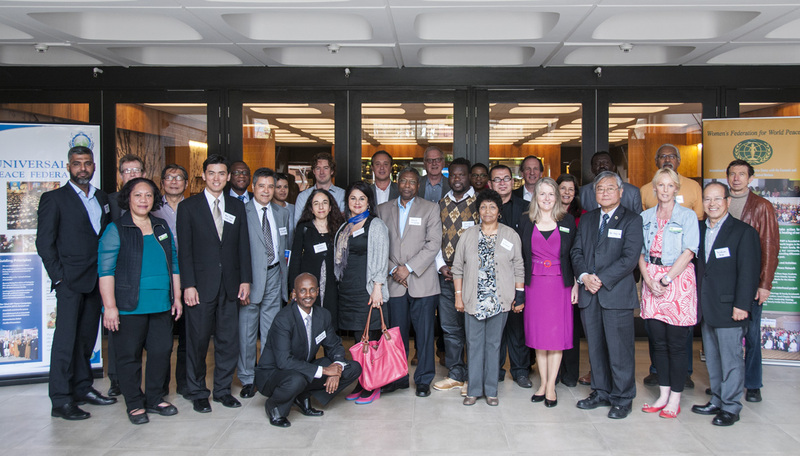 FFWPU Australia: On October 18th 2014 a dialogue took place at Monash University in Melbourne. This seminar was sponsored by UPF and WFWP. Both organisations believe that men and women must work together for peace to be realised. The new paradigm for leadership and peace building is based on parental leadership. This seminar was the first in a series that will explore the role of religion, morality and interdisciplinary perspectives in addressing current moral, humanitarian and peace challenges facing our world and took the view that the best solutions to these challenges can emerge if the diverse perspectives of spiritual leaders, scholars, diplomats, government leaders, experts in geopolitics and leaders of NGOs can be combined. Hong Lim gave the welcoming remarks and is the sitting state member for Clayton. Hon. 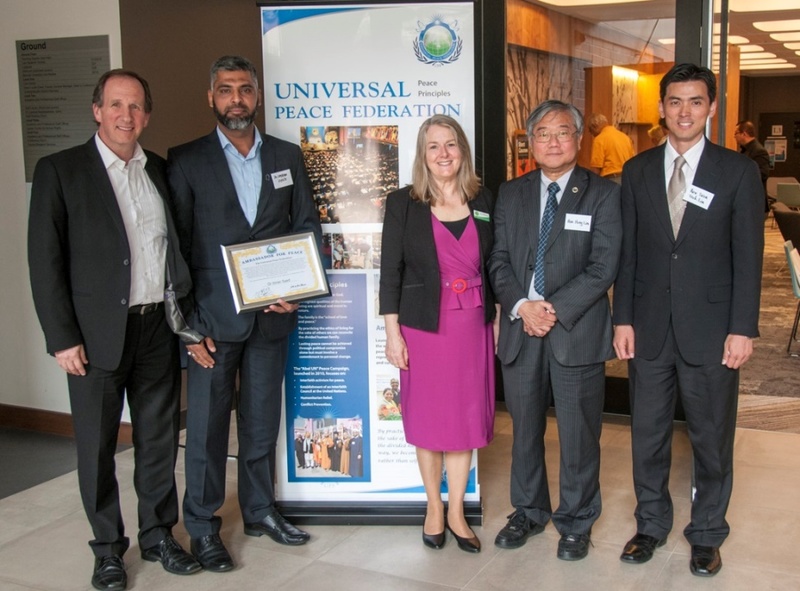 Lim strongly suggested the all Moon family members should receive the Nobel Peace Prize and he warmly thanked UPF and connecting to WFWP through the Bridge of Peace event in his electorate earlier this year for having the opportunity to attend the World Summit 2014.
e is the Senior Lecturer, Director of Learning and Teaching & International Security Studies Program. Editor, Journal of Policing, Intelligence and Counter Terrorism (JPICT) Centre for Policing, Intelligence and Counter Terrorism – Macquarie University. Dr Droogan argued that at a time of remarkable global instability, such a dialogue is timely and important. His presentation sought to unpack questions such as: What is the role of religion in addressing some of the current conflict and security challenges facing the world? Is religion a net positive or negative force in global affairs and peace building? Mr Gaballa is a former Senior Teaching Fellow in the Faculty of Economics and Politics at Monash University and is an expert in Sufism. He spent 15 years in the Airlines and Aviation Industries, a Planning and Research Advisor for Qantas Airways in Airports Aircraft Ground Movements Control computer System. Adel left the business life in 2011 to devote himself to the support of international interfaith dialogue, by spending over two years researching and writing a book about: “Mary and Jesus in Islam and Islamic Mystic Traditions (Sufism). He argued very convincingly that a true form of Islam is force for peace. Dr. Roborgh worked for many years as a chaplain to students in Jakarta, Indonesia. He completed his MA in Islamic Studies at Birmingham University, England, and moved to Lahore in Pakistan where he rebuilt a library consisting of important Muslim and Christian source material. Since receiving his PhD from Aligarh Muslim University in India, he has been active in various inter-religious dialogue projects in Australia. Dr Roborgh argued that interreligious dialogue will be more effective when we can move beyond an exchange of information about our different religious beliefs and practices. Going deeper into dialogue requires the humility to keep reviewing our self-understanding and to overcome our fear. Dr. Omar did his doctoral research at La Trobe University, focusing on Somali youth and their experiences of integration, particularly within the USA and Australian context. He spoke about the value of dialogue between different faith and cultural traditions using social and cultural negotiations. John Bellavance spoke on: Dr Moons’ Proposal for an Interfaith Council at the United Nations and in Nation States. John is the Vice-President of the Universal Peace Federation in Australia, an Information Technology teacher and currently doing a PhD on the Role of Values in the Use of Information and Communication Technologies. Mr. Bellavance presented the history behind the proposal for an Interfaith Council at the UN. He argued that the world is changing and demands on the United Nations and its role in world peace is also changing; emphasising that the wisdom of faith-based traditions constitute the spiritual assets for peace building nationally and internationally and this spiritual asset should be utilised by the UN to foster peace between nations. That we continue to explore the role of faith traditions to addressing peace challenges. That a formal proposal be put together to create of state and national Interfaith Peace Councils that provide a fresh perspectives to peace building to the Australian government agencies and broader Australian society. That such a council would including interdisciplinary perspectives; religious perspectives and NGO perspectives.